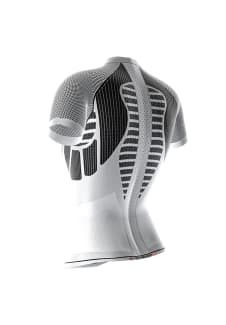 This stops cold the risk of overheating: X-BIONIC THE TRICK Running Shirt. Run longer and faster without overheating: The Trick by X-BIONIC makes that possible. 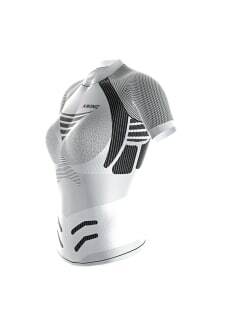 Along the length of the spine in the X-BIONIC THE TRICK Running Shirt is an insulating pad. It simulates the body overheating and allows early sweat production to kick in. Thanks to preventive cooling, extreme temperature spikes and energy-sapping overheating is avoided.